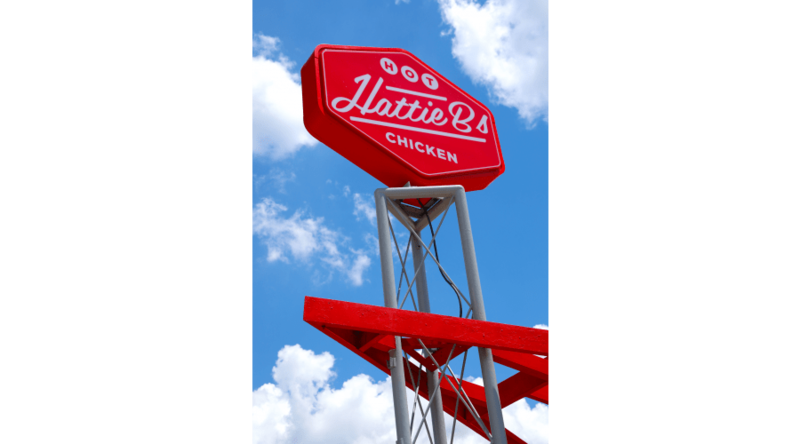 On a couple of levels the hottest restaurant opening the city has seen in the past couple of years is the arrival of Nashville darling, Hattie B’s. 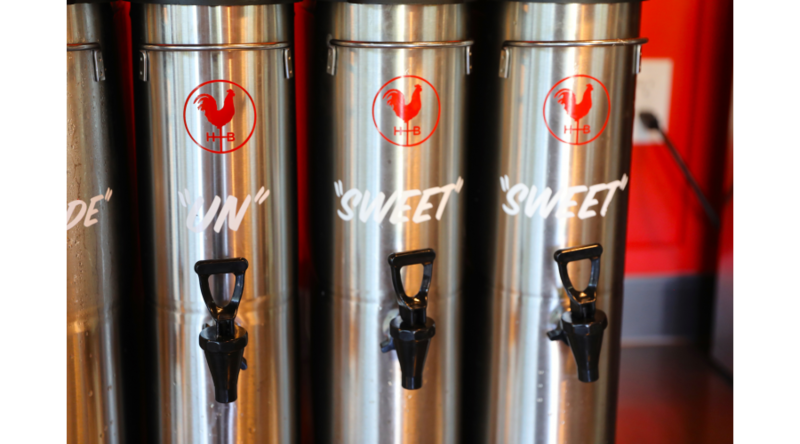 The Nashville hot chicken craze has become such a phenomenon that even KFC has co-oped the concept! 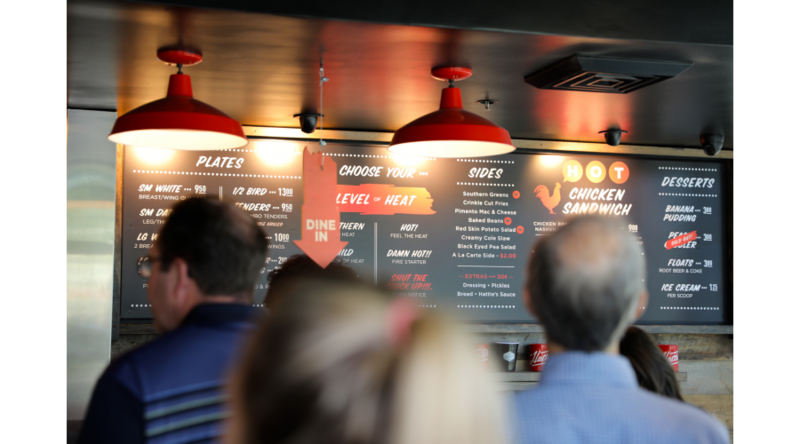 Nashville hot chicken was born when a wife tried to trick her carousing husband into eating a devilishly hot piece of fried chicken after some, especially boorish behavior. To her dismay and our delight, he loved the concept and ended up taking it to the masses. 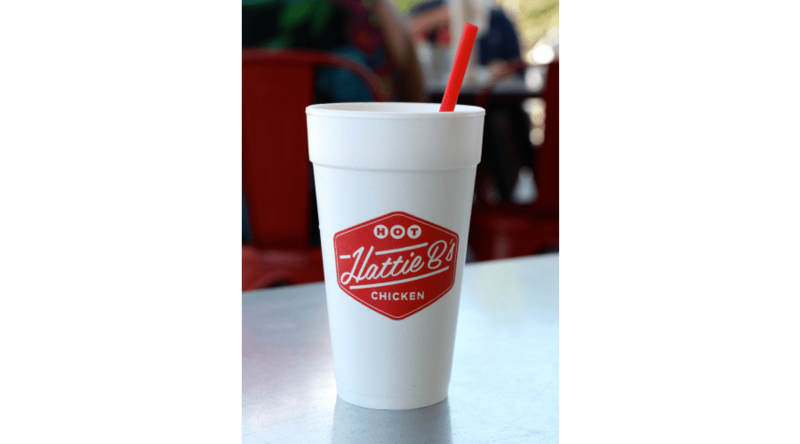 Hattie B’s has perfected that recipe and after a couple of years of teasing Atlantans, they have opened up in Little Five Points in the old 1950’s-era Phillips 66 gas station on Moreland. 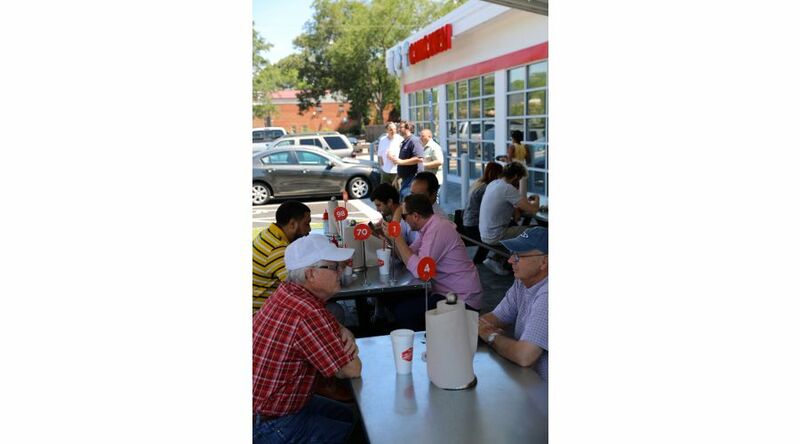 The bad news: there will likely be a line of hungry chicken lovers. The good news: it moves fast. 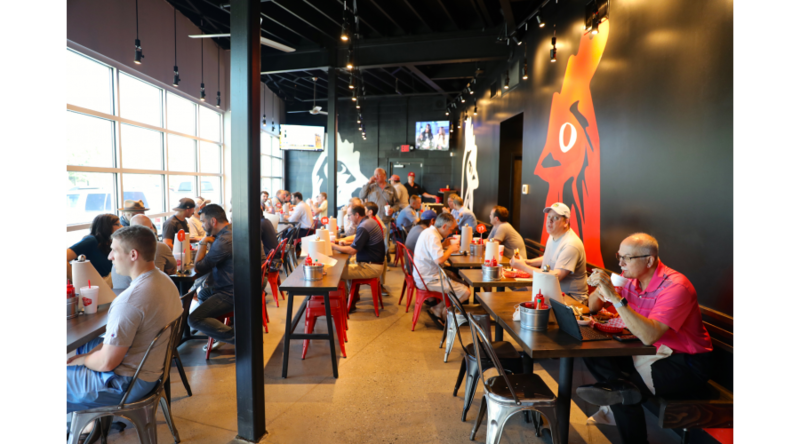 I was really impressed with the efficiency of the operation and despite being in a line 10-15 people out the door, I was eating in less than 15 minutes. It seats 80 people inside and 56 outside under the cover. Plus there are 19 free parking spaces. The other great news is the food lives up to the hype. The chicken is spectacular, crisply battered and fresh-out-of-the-fryer hot. As far as the spice, you can select your heat among 6 levels of intensity starting with “Southern Style” (no heat) and culminating with the blistering “Shut the Cluck Up” level which turns the birds crimson-red and render them lip-burningly hot. But every level I tried (including Shut the Cluck Up) the flavor of the chicken was not decimated by the peppers and you could taste the peppers as well—not just scalding for the sake of it. 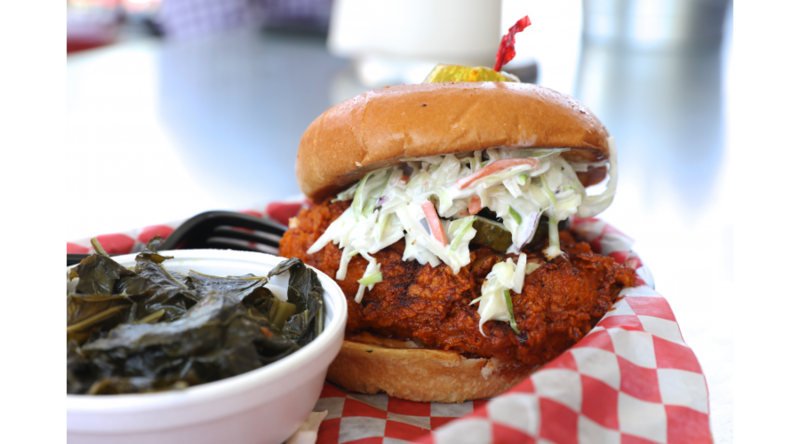 You can get your fix as a chicken sandwich, chicken tenders or wings. The sides are standard southern BBQ sides: crinkly fries, collard greens, pimento mac-n-cheese and a wickedly good banana pudding or peach cobbler for dessert. 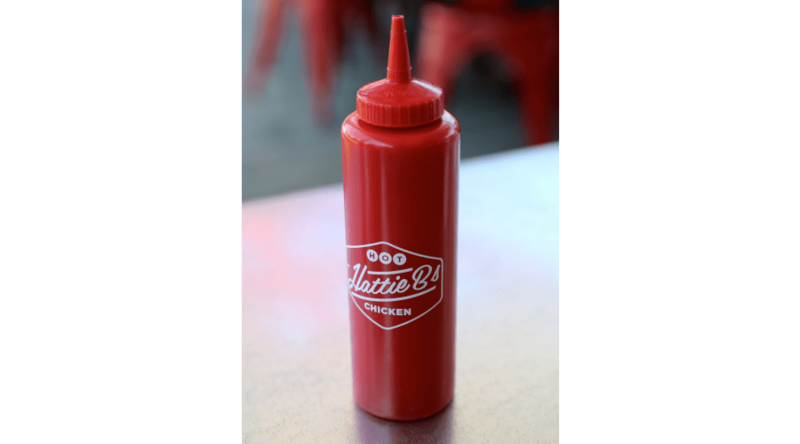 While I was on guard for the this to be one of those novelty food crazes or something where the original might be great but the clone might miss the mark, I have to say that I was very pleased with the Hattie B’s experience. 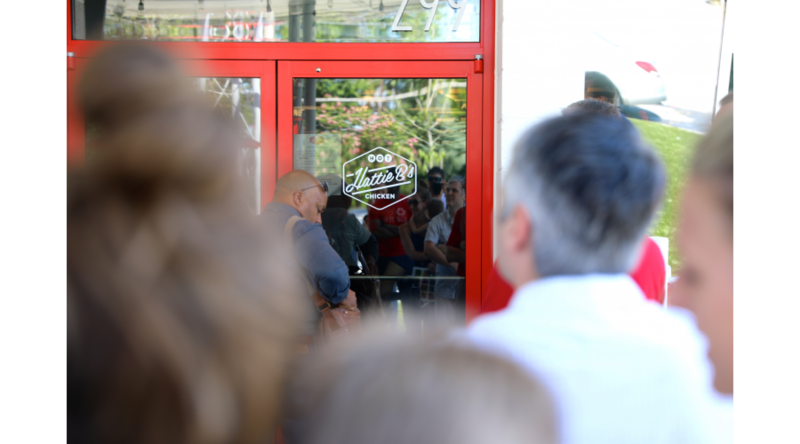 They picked a great neighborhood, retrofitted a perfect space and ultimately delivered on the food. So I say drive over, queue up, and test your heat tolerance at a great new addition to the scene. Let me know your favorite places to dine and dash off to. I am always looking for inspiration!